William Smith Jewett (1812-1873). 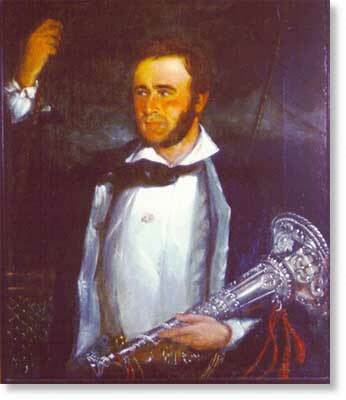 Captain Ned Wakeman, c. 1851, oil on canvas. The Oakland Museum of California, gift of Mr. and Mrs. Howard Willoughby and Mr. and Mrs. Edgar Buttner.